Cohn & Wolfe has hired Matt Stafford, former CEO of Burson-Marsteller in China and Hong Kong, as its Asia-Pacific president. Stafford replaces Angie Ong in the role, overseeing the agency’s 12 Asia-Pacific offices. Based in Hong Kong, he will report to Cohn & Wolfe CEO Donna Imperato. The agency said Stafford "will play a key role in building new business, client service and talent development and retention". Stafford was CEO of Burson-Marsteller’s China and Hong Kong markets between 2011 and 2014, dealing with clients including Kong Disneyland, Adidas, Qualcomm, Bank of America and Prudential. Stafford was also global client leader and the multi-agency lead for Huawei Consumer. 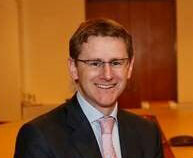 He also previously served as director of policy in the office of the Australian Prime Minister. Imperato said: "Asia is a strategic priority for us, as it represents a tremendous opportunity for continued growth for both our clients and our agency. We’ve been highly selective in our search for our new Asia-Pacific president, and I’m confident Matt is the right person to elevate our business in the region." Stafford starts his role on 18 August.